Mark Bradford (born 1961, United States) lives and works in his hometown of South Los Angeles, where his community is a significant source of inspiration. Before earning his master of fine arts degree, Bradford worked in his mother’s hair salon as a stylist. For Practice, Bradford set out to make a video of himself playing basketball with challenging restrictions. 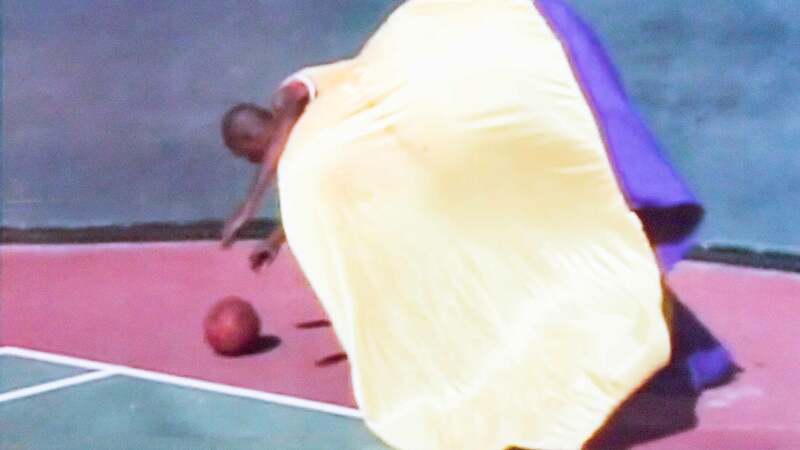 Along with a typical Los Angeles Lakers jersey, he wears an outrageously voluminous antebellum hoop skirt. These skirts, worn by women in the pre–Civil War era, feature expansive boning that allowed for air circulation. Here, the Santa Ana winds lift the skirt and trip Bradford up. However, each time he falls on the court, he gets up, dribbles again, and eventually he makes the shot. Bradford is a 6’8” tall black man. 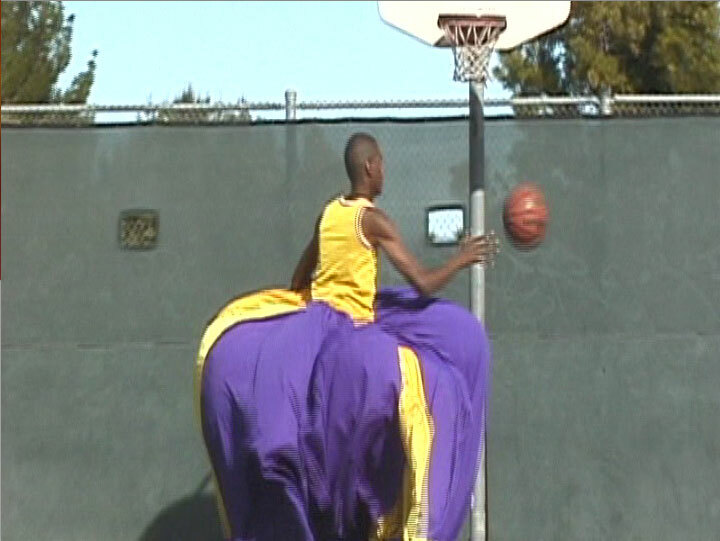 For years, he had to deal with people who assumed that he should be a basketball player. For Bradford, the self-imposed challenges in Practice represent the cultural, gender, and racial stereotypes that he needed to negotiate as a young man. 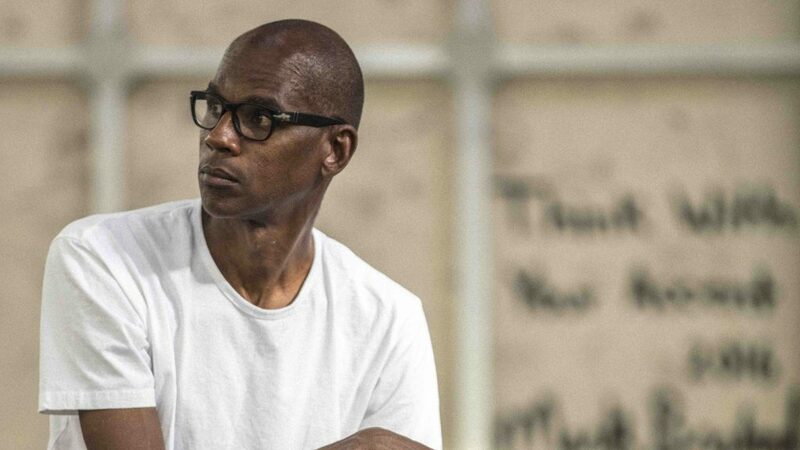 PlayTime curator Trevor Smith on how Mark Bradford uses play to negotiate the expectations that society places on us. Read the transcript.